​This could certainly help the Nats compete for a playoff spot. ​Washington reportedly has just closed a deal with the ​Royals for ​closer Kelvin Herrera. And they didn't have to give up any of their untouchable prospects to get him. 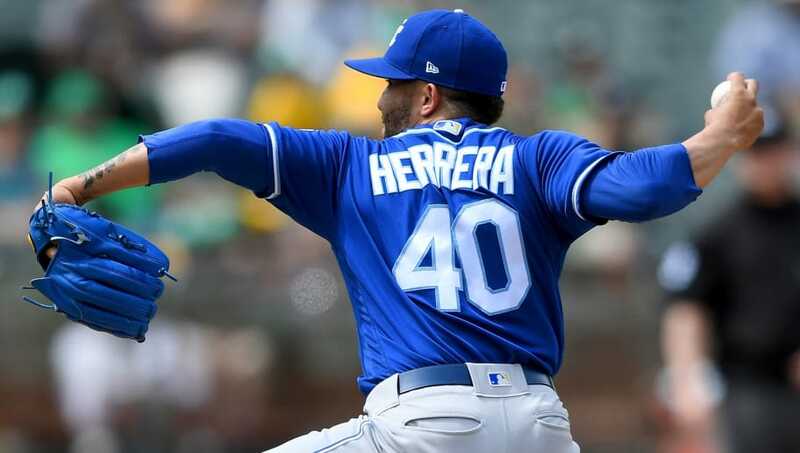 ​​Herrera has had a great season so far, with a mere 1.05 ERA and 0.818 WHIP in just over 25 innings pitched. He will be a valuable asset for a Nationals bullpen that could certainly use some improvement. This seems to be a very smart move on Washington's part, as it also prevents the NL East-leading Atlanta Braves from chasing a trade for Herrera. Mike Rizzo probably knows what he is doing here, as the Nats bullpen strength, or lack thereof, has hurt them is past seasons. Nationals fans just hope that this acquisition can prevent them from their routine playoff collapses. To lose in the first round again? I guess we'll have to wait until October to find out.